Gayle Bradberry is a principal owner of BSE Industrial Contractors, Inc. . She is an entrepreneur and business leader. She has been involved with BSE since its formation in 1972 and worked behind the scene. In 2017, she assumed a management role in the company. Gayle works with the current management team to oversee the functions of the business including operations, finance, planning, sales, human resources, labor negotiations and customer service. She is an active member of Union Methodist Church in Chelsea Park, and has been for over 30 years. James W. Guarnieri was appointed by the Board of Directors of BSE Industrial Contractors, Inc. to serve as President of the Company in late 2016. He has been a member of Local 312 Operating Engineers since 1974 and is a member of the Specialized Carriers & Rigging Association. James has been certified by the Crane Operators Certification Board of America, is certified for all surface mines under Part 46 and underground mines under Part 48 in accordance with U.S. Department of Labor in mine safety and administration requirements. James also maintains a Class A CDL. As of 2016, James serves on the Board of Trustees of the Operating Engineer Local 312 Pension Fund and Health and Welfare Fund. Mark has a bachelor of science in Safety Management and has over thirty five years in the safety and loss control field. 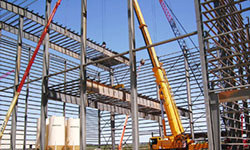 He is an expert in the field of safety and loss control and holds numerous safety certifications. He has been a member of the American Society of Safety Engineers, the National Fire Protection Association, the National Safety Council, and the American Bar Association and the Alabama Bar Association. He has been an Emergency Medical Technician and a Nationally Registered Paramedic. He is certified to teach MSHA Part 46 and Part 48 and the OSHA 10 hour and 30 hour. 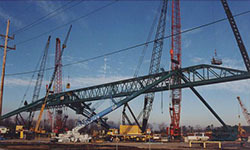 Jeff has been employed by BSE since 1986 and has been a member of the Iron Workers Union Local 92 since 1983. Jeff has worked in every aspect of the industry. He has been involved in new construction, equipment installation and general maintenance. Recently, Jeff was in charge of the work in Lebec, California on the IKN Cooling System. He has worked on the installation of Cupola Furnace at US Pipe and Foundry, Heat Recovery System #8 Blast Furnace at USS, FAirfeild Works, Chip Handling System at International Paper, Prattville, AL, and #3 Finish Mill Project 2006 National Cement Co. Ragland, AL Plant just to List a few. Jim joined BSE in 2016, and has been in the boiler makers trade since 1979. Jim has been involved in new construction and heavy maintenance for his entire career. Jim worked with B&W on Plant Miller units 2, 3 and 4 for the entire installation of those units. He has worked as Area Manager of maintenance for US Steel Corporation, where he oversaw the installation of a Heat Recovery System and a Coal Grinding Facility. He scheduled and planned all outages and maintenance for #8 Blast Furnace. He has worked on tank installation and repairs, and has also been superintendent over Scrubber work at E.C. Gaston, Miller and Gorgas Steam Plants. 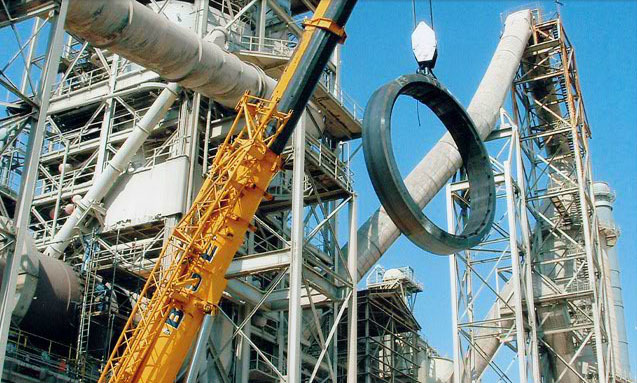 Fred has over 25 years experience in industrial maintenance and crane rentals. 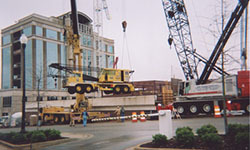 He has dealt with crawling cranes, hydraulic cranes, rough terrain cranes, and conventional truck cranes.